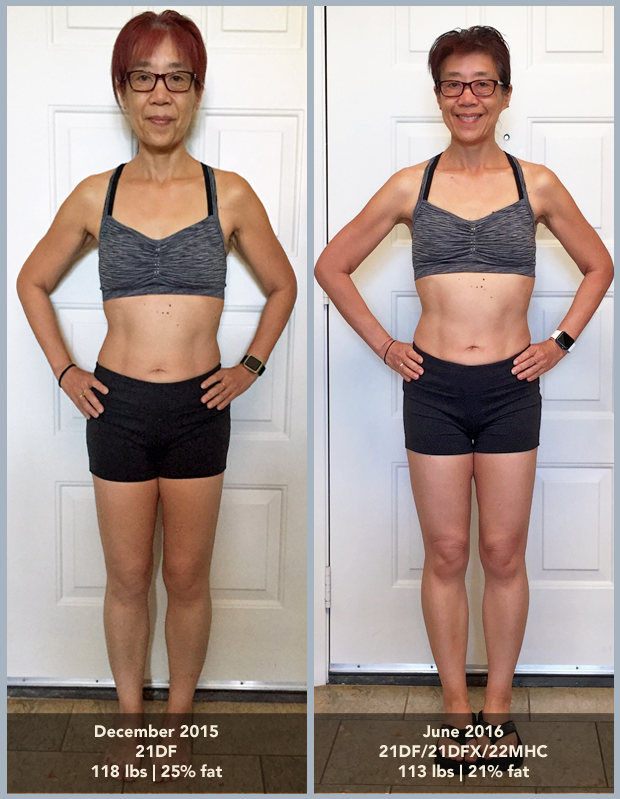 Here’s proof that workout programs 21 Day Fix, 21 Day Fix Extreme, and 22 Minute Hard Corps can change body fat percentage. I’m at the point in my fitness journey where I don’t want to lose a lot of weight. In fact, my weight loss has slowed way down — about 1 pound per month. Weight isn’t a good measurement of my progress, anyway. At least not as long as I’m doing Beachbody workout programs 21 Day Fix, 21 Day Fix Extreme, and 22 Minute Hard Corps. For me, it’s all about body fat percentage! While my Withings scale does measure body fat, I decided to get a DEXA scan every quarter for a more accurate reading. 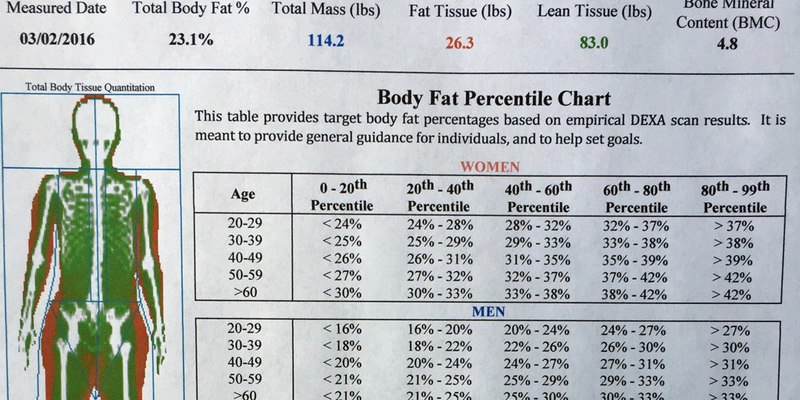 The cool thing about the DEXA scan report is that it not only gives you an overall body fat percentage, but also breaks it down into arms, legs, trunk, android, and gynoid regions. Here are my latest results! I’ve lost nearly 12 pounds of fat and gained almost 6 pounds of muscle. Really happy with these latest results! Before I started 21 Day Fix and 21 Day Fix Extreme, I was a cardio-aholic, walking on the treadmill as my only form of exercise. Never again; weight training has to be part of the equation! Yup, it’s painfully true: you can’t choose which part of your body to remove pounds or fat from. It’s gonna happen where it happens. For me, the bulk of the weight/fat reduction happened in my chest! And pretty much none of it came off my thighs, where I wanted to reduce the most! Ugh. I’m going to stay the course and trust the process. I have to believe that eventually, all the fat above the waist will have been depleted and that my thighs will start to slim down (please please please…). In the meantime, here’s an article that made me feel better: Why you might bulk up before you slim down. Interested in getting a DEXA scan? I recommend both DexaFit and BodySpec. The closer I get to my goals, the more my progress is going to slow down. I’m good with that. This isn’t a race, but a lifestyle change….